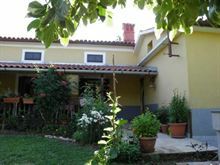 ISTRIA | PRIVATE ACCOMMODATION- Istria,Croatia.Accommodation in istrian leisure houses. Photos,map,addresses,descriptions and prices. The special atmosphere and the freedom which provides holiday home are one additional reason more to choose one suitable just for You.